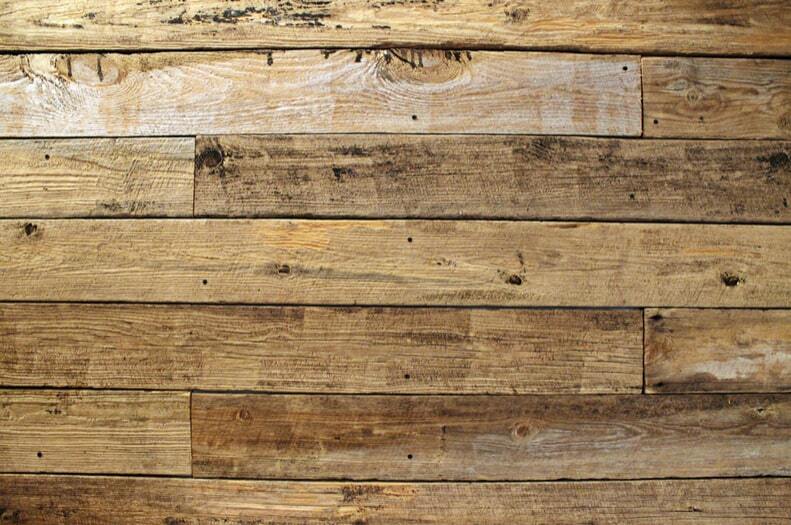 The use of reclaimed wood has experienced a surge in popularity in recent years. This is partly due to the emergence of sustainable building and the growing popularity of industrial interior design. Salvaged timber is used to decorate both residential and commercial building. It is used for flooring, furniture, architectural details, cabinetry, and siding. Reclaimed lumber is salvaged from a variety of sources including warehouses, factories, old barns, retired ships, coal mines, boxcars, and wine barrels. So why has reclaimed wood become a popular choice for building projects? Read on to find out. Recycled lumber is stronger, more durable and stable than wood grown in today’s farms. Wood that is being repurposed from old structures was harvested in forests that were hundreds and even thousands of years old. Trees that are able to reach full maturity develop more heartwood, the innermost part of the tree. This part no longer transports water and nutrients making it dry, mechanically strong and resistant to decay. Additionally, reclaimed lumber has been expanding and contracting for decades in their previous installations. This long-term weathering makes the wood less susceptible to drying, cracking and splitting. Another benefit of using reclaimed wood is that it is visually appealing. Old trees have more heartwood which is characterised by a rich colour and grain pattern that can’t be replicated in less mature trees. The rich colour and fine grains give reclaimed lumber its unique appearance. The best part of using reclaimed lumber is that it doesn’t need to be painted or stained to refine its appearance. Repurposing wood helps to reduce the amount of timber that goes to landfills. Additionally, using salvaged timber reduces the demand for virgin timber reducing deforestation. Because this wood has already been harvested and treated, it eliminates the need for refining chemicals which have a negative impact on the environment. This roundup of the benefits of using salvaged timber has hardly scratched the surface. But hopefully, it’s got you thinking about the benefits repurposed wood can offer. If you’re looking to use reclaimed lumber for your next construction or building project, consider purchasing the timber from Theo’s Timber Limited. We offer quality products to suit your project. Additionally, we can supply to businesses of all sizes as well as the single tradesman. Why Choose Theo’s Timber Ltd?